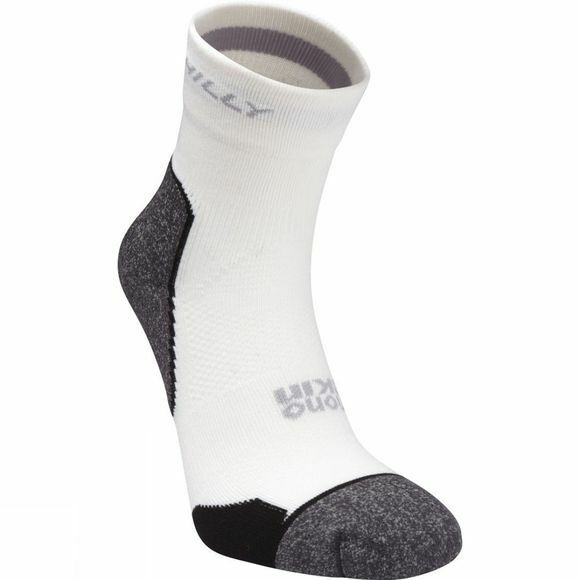 The Hilly Mono Skin Supreme Socks are the perfect running socks to complement a pair new running shoes. Your socks are a vital piece of running kit for comfort so it is important that you get some good ones. Hilly are an experienced brand in running socks and have a reputation for high quality products stacked with technical innovation. The Hilly Supreme socks are designed with maximum protection against blisters and rubbing in the heel and toe. They make the perfect training socks as well as a special sock for racing. The breathable constructions and anti-odour treatment will keep your feet drier and much more comfortable than with other running socks. Take great confidence that the Supreme socks live up to the elevated status that the name suggests.